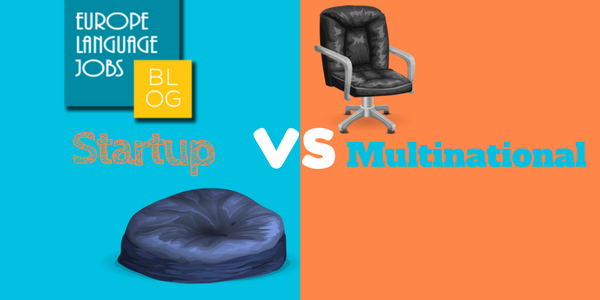 Is it better to work for a start up or a multinational company? Well the answer is that there isn’t really an answer, just you and your expectations and preferences. Every individual is more suited to some companies and less suited to others. The important thing, if you want to find the job of your dreams, is that you engage in a little self reflection and know exactly what it is you’re looking for, what your strengths are and in what direction you’re heading. This last one is very important because once you know your direction - or rather, destination - you can map out the steps to take you in the right direction. If a position doesn’t help you on the journey to your end goal, then what is the point in it? Potential: The potential of a well-thought-out startup is an incredibly exciting thing to be involved with. At any moment, and with enough hard work, you could all become millionaires...theoretically. The Weight the Individual Carries: This isn’t intended to be a slight about body mass, but the influence it is possible for you to have on a startup environment. Your creativity is noticed, your ideas are listened to and your work has a more immediate impact on the business. Relaxed Dress Code: In a multinational you’ll be expected to dress formally. Whereas in a startup, the culture is more focussed on keeping employees comfortable and happy; a tactic to compete with the higher salaries of the beckoning multinationals. Array of Tasks: Having many tasks means that you are able to assess in practise, which ones you’re good at, which ones you aren’t and more importantly, which ones you want to do. It can be stressful but the likelihood is that it is far from boring. Appreciation: In a small team it is very easy to thank and be thanked because a person’s influence is more obvious and you have regular contact with your boss, probably even working in the same room. It’s easy just to lean over and share good news. The smallest success can feel huge when you achieve it as a team. Small Team: This can be a positive and a negative feature of the workplace. Fast Moving: The energy of young and international team (as many startup teams are), combined with dealing on a relatively small scale, means that the pace of the small business is fast moving and exciting. Lack of security: A regularly cited figure is that 90% of start-ups fail. Low paid: Until you land that huge investment deal, you’re unlikely to be earning much at all...and maybe not even then. A lot of responsibility: This doesn’t necessarily have to be a con, but it can be daunting to have so much responsibility in what could be your first real job. No one has heard of your company: The name won’t look impressive on your CV to future employers. Family environment: The relationships can get intense in such a small team who are tripping over each other all day in a small office. Both good and bad relationships get magnified by proximity – so be prepared! Money: Often a position within a multinational is better paid. Benefits: Working in a big company often comes with numerous perks which, depending on the company, can include: free lunches, gym membership, trips, transport being paid, bonuses, a pension, a car and health insurance. Job security: You are less likely to lose your job through the company collapsing in a multinational. Specialisation: You’re unlikely to have a hundred tasks to juggle at one time. This takes the pressure off a little and gives less responsibility to the individual. However this can lead to boredom. Namedropping: In any future job a multinational will look much better than a random startup nobody has heard of. You’re a pawn: You are a very small and expendable piece in a huge machine. Recognition is rare and you can feel useless. Hard to impress: It will often go unnoticed as to whether you are doing an average job or your absolute best. Few responsibilities: This gives you little opportunity to improve your other skills as often you only have one speciality. Less familiar atmosphere: This is totally dependent on your team but still you will have more of a mechanical feel to your day. Dress code: You can’t just roll into work in sweatpants and a hoodie after a long night. In a multinational you need to look the part. Depending on your personality some of the cons listed above may be a pro for you, and vice versa. The important thing is that you weigh up what you want, what you value in a workplace, as well as essentials like your salary expectations and how this move will help you in the future. I believe that working in a multinational corporation is quite interesting and surely it helps in enlarging knowledge and creating so many relationships. As a second step, creating a startup is a must. I believe both would have cons and pros, as in a Startup the career growth will be instant by the passage of time, while in a MNC the growth might be gradually but it would provide with all career growth and good benefits. In a start up there is a chance of business flop where one might be unemployed hence it possess risk factor as well as growth whereas in a MNC the growth might be gradually but it is secure and safe,while in the other hand there might me immense pressure as the expectations would be on a higher side. Hence would like to conclude by quoting that if you know how to accept challenges then one would definitely have a marvelous career. I believe both have their pros and cons, but this is a very interesting article ! Many linguists are predicting the imminent death of Dutch. But who is to blame for this sad decline and why aren't the Dutch doing anything to stop it? 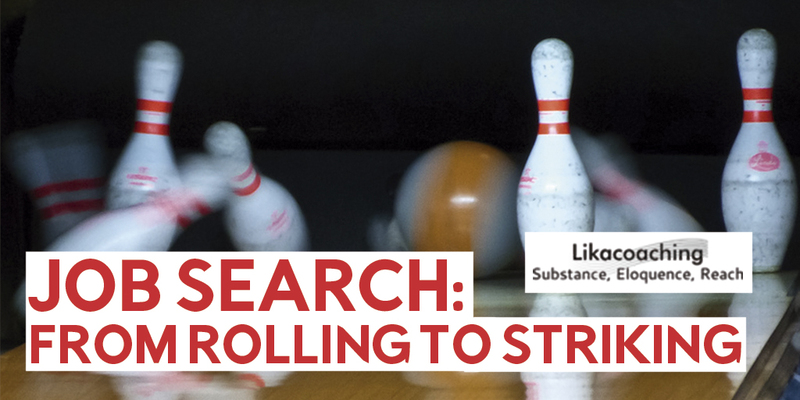 GET YOUR JOB SEARCH FROM ROLLING TO STRIKING!